» Can Fraternal Twins Share a Placenta? Up until a few years ago, it was common knowledge that only identical twins can ever share a placenta. It’s because of the way fraternal, or non-identical twins, and identical twins are formed. Because fraternal twins are caused by a pair of eggs being fertilised by separate sperm, when they bed themselves into the wall of the womb they each form their own placenta, with no way of sharing. However, identical twins are caused when the same egg splits into two embryos, and if this happens late enough, it’s possible for both twins to share the same placenta. In fact, this happens often enough that up to 70% of identical twins might end up sharing a placenta. 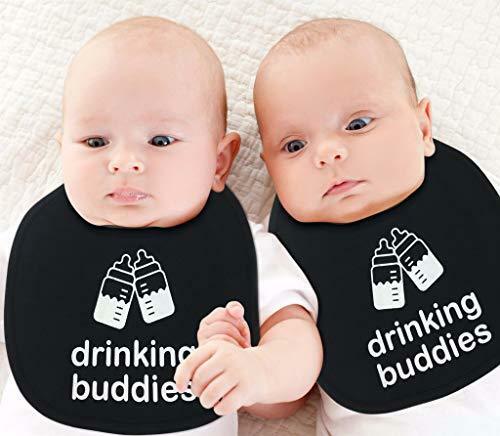 But, Can Fraternal Twins Share a Placenta? Just a few years ago, scientists discovered a pair of fraternal, or non-identical twins, that actually shared a placenta! It happened in Seattle, and was discovered by the New England Journal of medicine. It’s worth pointing out that the chances of this happening are so small as to be vanishingly unlikely. So if you’re having fraternal twins, you can relax, because the chance of your twins sharing a placenta is so small it’s almost impossible. You’d be more likely to win the lottery and then immediately get hit by lightning. When babies share a placenta, it can cause problems in the pregnancy. Because the placenta is essential for providing oxygen and nutrients to your developing babies, if something goes wrong with the placenta, then it can affect the correct development of the embryo. Your doctor will know if your babies sharing a placenta is going to be a problem, and if anything needs to be done, then he’s going to know what’s best and will give you the recommendations for what to do, so don’t worry. But What Can Happen When Your Babies Share a Placenta? There’s two main situations where your babies will share a placenta. These are monochorionic diamniotic twins, or mono di, where the babies share a placenta but have their own amniotic sacs, and monochorionic monoamniotic twins, or mono mono, where the babies share both their placenta and amniotic sac. We have articles on both of these conditions that go into far more detail, but we’ll give you a quick primer below. Mono di twins are the most likely situation where your twins will share a placenta, and if it happens you shouldn’t worry, because most of the situations that come from mono di twins can now be dealt with. Twin to twin transfusion syndrome, or TTTS. In some occurrences, this won’t be that much of an issue, but if it is then doctors can solve this issue with laser surgery. TRAP sequence: This is a sad problem where one twin doesn’t develop properly, and relies on the other for all of their blood flow. Unfortunately, the dependant twin cannot survive if this happens, but the other twin is incredibly likely to go on to live a healthy, happy life. Mono mono twins are much more likely to have problems than other types of twin pregnancy. However, this doesn’t mean that your twins aren’t going to be healthy, and once your doctors realise you’re having mono mono twins, it’s likely that they’re going to place you under the best care possible, to give your twin gifts the best chance possible. Cord entanglement. Because both babies are in the same amniotic sac, they’re free to float around in contact with each other and each other’s umbilical cord. It’s possible for one baby to become entangled in the umbilical cord of the other. This will normally rectify itself, but it’s a situation that will be carefully observed by your medical team. Cord compression. This is similar to the above. One baby puts pressure on the umbilical cord of the other, restricting blood flow. Twin to twin transfusion syndrome. Just like mono di twins, this is a situation that’s possible, and it’s an imbalance in blood flow between both twins. What Can I Do for My Twins That Share a Placenta? If your doctors discover that your twins share a placenta, then you’re probably going to be referred to a specialist who is skilled in difficult pregnancies. It’s natural to feel scared, and you might even feel slightly guilty, as if you failed your babies, or you’re somehow responsible for their situation. Remember, there’s nothing you could have done to prevent this from happening, and it doesn’t mean you’re a bad parent. The best thing you can do is to do exactly what your doctors recommend. If your babies need anything, then you’ll be told the best thing you can do for them. Expect more regular and detailed scans, and probably to spend more time than usual in hospital, making sure that everything is okay and giving you and your children to be the rest you need. Did you have a mono mono or mono di pregnancy? Or maybe you’re one of the ultra rare cases that answer the question of can fraternal twins share a placenta? How did it make you feel? I’m sure there’s a lot of expectant mothers in your situation that would love to hear your words and stories of reassurance, so please leave a comment and also join our online community! Tahney, I’m from Texas and I have a question for you, was your twin a girl? According to my dad, my fraternal twin and I shared a placenta (there was no evidence of fusion from what the dr told him) and amniotic sac.